Rehka Brar founder of Blossom Box Jewelry, spent many years mastering and creating aesthetic jewelry for women around the world. Combining culture, trend and style, entrepreneur Rehka Brar out-shines the jewelry industry with her humility and grace. 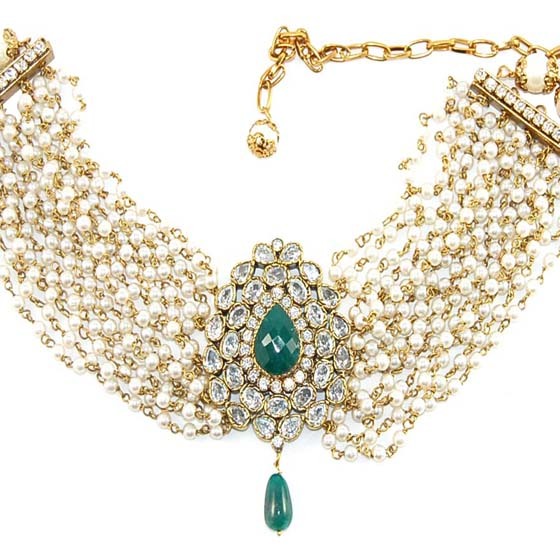 Brar makes her glamorous line, Paash, affordable to her buyers. She also developed a unique and breathtaking look by incorporating both Indian and Western culture to her pieces leaving women feeling beautiful, and radiant. Graduating from New York’s prestigious Zickling School of Business for Management and Entrepreneurship, Rehka Brar is an expert at curating her “Indo-chic” bangles, cuffs, bracelets, necklaces, earrings and rings. Instantly gaining fans, Brar has created a facebook fan page, allowing her fans to give their critique and feedback to the Paash line. Satisfying her customers and mastering the social media world, Brar has managed to gain over 60,000 fans thus far, leading her to become the number #1’s buyers choice on Blossomboxjewelry.com. Rehka Brar is featured on various magazines such as “Desi Magazine“, “Life & Style Magazine“, and many more. In the streets of New York City, Los Angeles, Mumbai, and London, Passh is worn by women of all ethnicity which compliments style, beauty, and elegance. Using materials such as brass, rhodium, and gold platings, Paash is specifically designed to awaken your self-esteem, and to phenomenally increase confidence. © 2016 Katswalk Projects LLC.